Illinois is one of the most populated states in the country, and this factor means that there are ample Illinois commercial real estate listings. 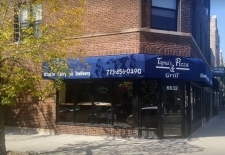 Many of these commercial property listings are based in its largest city Chicago. This fact can only be expected, as Chicago is the third most populated city in the entire country. The Chicago area is the home to 65% of the people who live in the entire state of Illinois and had an estimated populated of 12,830,632 as of the 2010 census. Other cities with notable Illinois commercial real estate listings include Aurora, Rockford and Joliet. Agricultural products like corn, soybeans, cattle, wheat and dairy make up some of the state's rural commercial land. Manufacturing is also key for the state's economy. Since 38% of the state's manufacturing plants are located in Cook County, there is a great deal of commercial property in this region. Products manufactured include chemicals, machines, food, fabricated metal, electronics, plastics and transportation equipment. 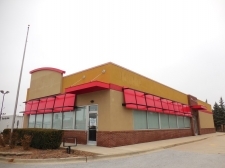 2385 SQUARE FOOT FREE STANDING MEDICAL BUILDING IN A PERFECT LOCATION ON NORTHWEST HIGHWAY. 2.64 acres m/l with 394.82 ft of road frontage. 7.21 acres m/l on Yearack Drive that is adjacent to Gold's Gym and Kokopelli Golf Course. Have you ever thought of getting into rentals? Now is your chance. Are you looking to relocate your business or searching for an investment opportunity? Highly visible commercial property on main street in Herrin at 909 S Park Ave.
Prime retail or office space location. Income opportunity. Currently being used as a softball training center with a single instructor. This is an AMAZING situation, but you might ask why the price? 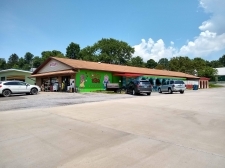 Great business opportunity with this 4,000 sq ft building/restaurant in a great location in Herrin. This duplex has great high end rental potential! Advertised price is CASH ONLY, AS IS. **EXTREMELY MOTIVATED SELLER**Spectacular Situation! Location! Location! Location! Imagine owning your own business while occupying the adjcent property.